Two recent sales on Delavan Lake have pushed lakefront sales activity past the rate seen in 2014. One of the homes was on the South Shore and the other on Lake Trail Drive. 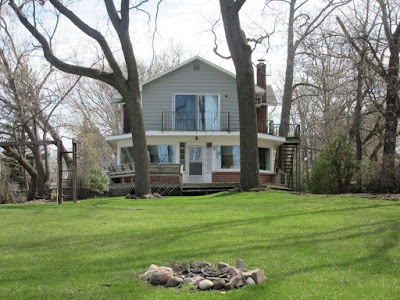 With these closings, 17 lakefront properties changed hands in 2015 compared to 16 in 2014. 13 of these sales were on the main body of the lake in 2015 while only nine were on the main body last year. 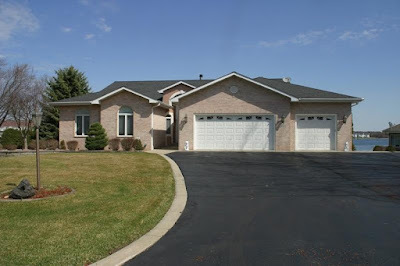 The South Shore property, located at 1415 South Shore Drive, sold for a relative bargain of $590,000. Listed for $650,000, the home boasted 50 feet of level frontage with the property fanning out to 100 feet on the road side. While in need of some major updates, the views and frontage for the property were first rate. With four bedrooms and three baths, the two-story colonial showcased a 180 degree lake view from the great room, natural fireplace and waterfront master suite. The other recent sale was located at 1960 Lake Trail Drive. Built in 1996, this six bedroom, five bathroom brick ranch featured a walk out lower level and 91 feet of frontage on the Delavan Outlet. As the finest home on the street, comparable sales were difficult to find. The property transferred at $710,000 which was a healthy discount from the listing price of $799,000. Set up as almost two houses in one, the home included two kitchens, one on each level, a steam shower, sauna, swimming pool and over-sized pier system. The main level, included an open concept great room with skylights and lake views along with a master suite with separate jetted tub and walk-in shower. Along the front of the home was a massive dining room that included a custom made table that was sold with the property.